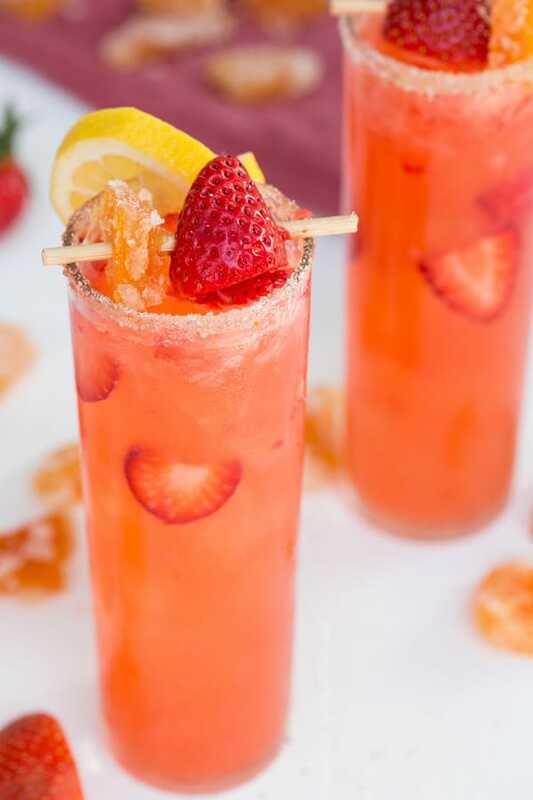 This grapefruit strawberry collins cocktail is just divine. It has a very flavorful and present grapefruit taste, one that you can’t just get with using juice! The strawberries add a little extra touch of berry sweetness. 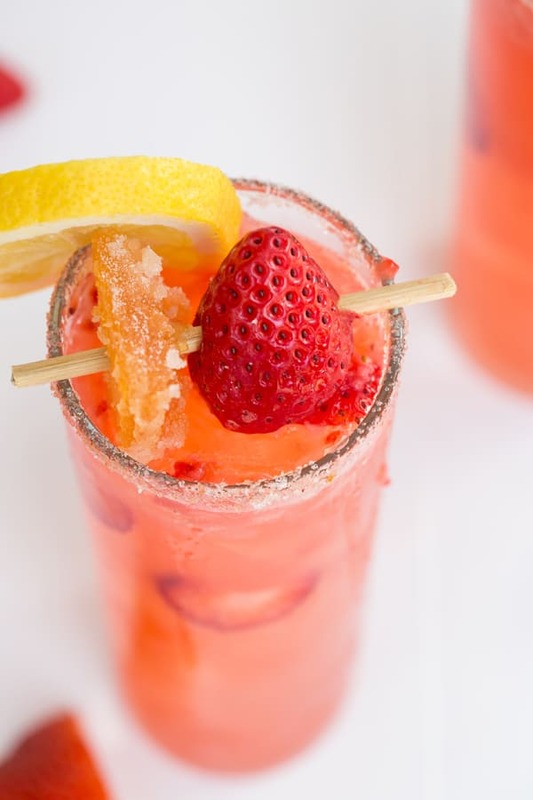 The best part about this grapefruit cocktail is that every part of the grapefruit was used… literally! The vodka was first infused with grapefruit slices 4 days before use, the middle of the grapefruit was used to make the juice and the peels were made into candied grapefruit for garnishing! So save those peels and follow this recipe to make the candied grapefruit! It does take some time to make, but everything can be pre-made and kept in the fridge, so you’re just tossing it in the cocktail shaker to enjoy. 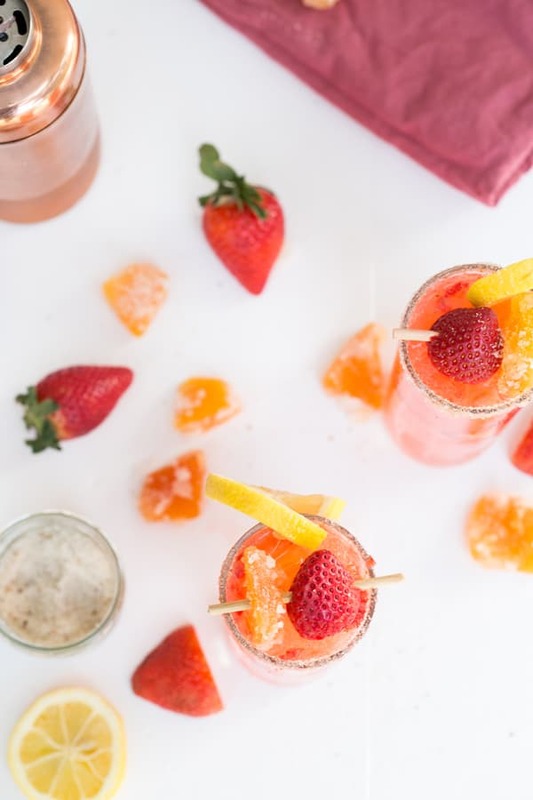 It’s the perfect cocktail for Valentine’s Day or any other day! Add in the rest of the ingredients except the club soda. Add in ice and shake for 20 seconds. Add ice into the glasses and strain the cocktail over the ice, shaking the shaker until it all comes out. Add a dash of club soda over the top and stir. 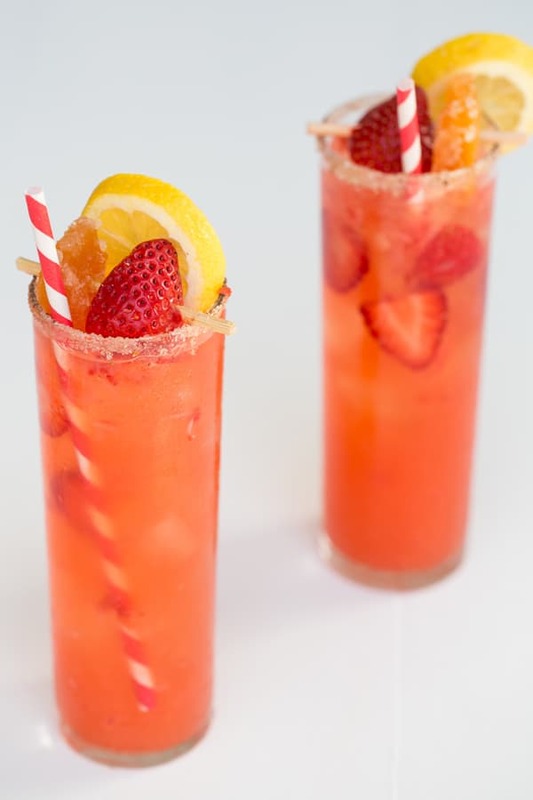 Garnish the glasses with a strawberry, lemon slice and of course candied grapefruit! Put them together in an jar that seals with a lid and wait 3-5 days. 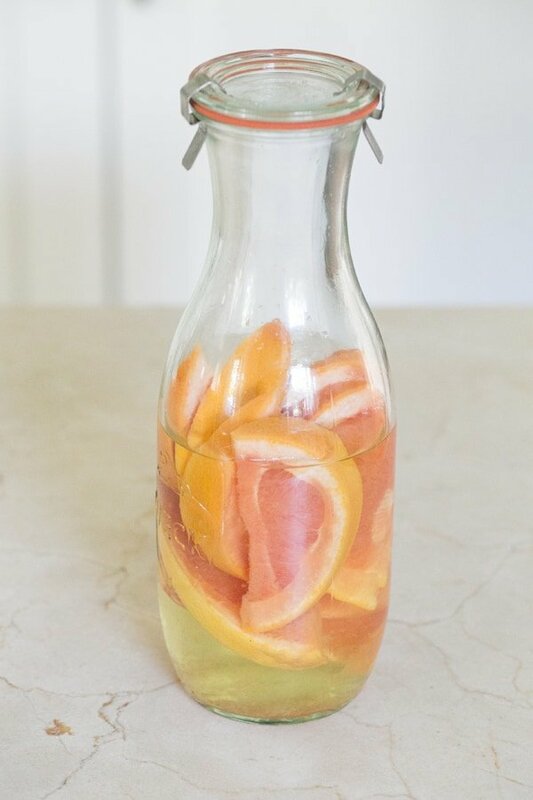 Strain into a bowl with a spout and discard the grapefruit. Pour the vodka back into the jar and save in the refrigerator. See my recipe at Tablespoon to make your own candied grapefruit!